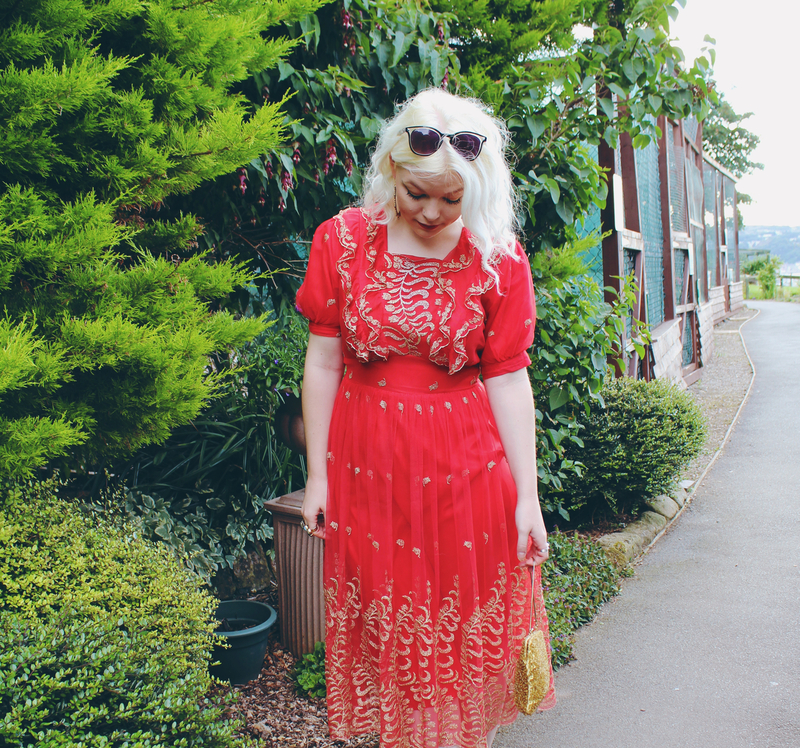 I’m back with an outfit of the day for you guys, and it’s probably going to be my last even remotely summery outfit for this year, hence the title! This is an all-vintage outfit that I wore for a wedding last month and thought I’d share, before it’s too cold to be relevant! 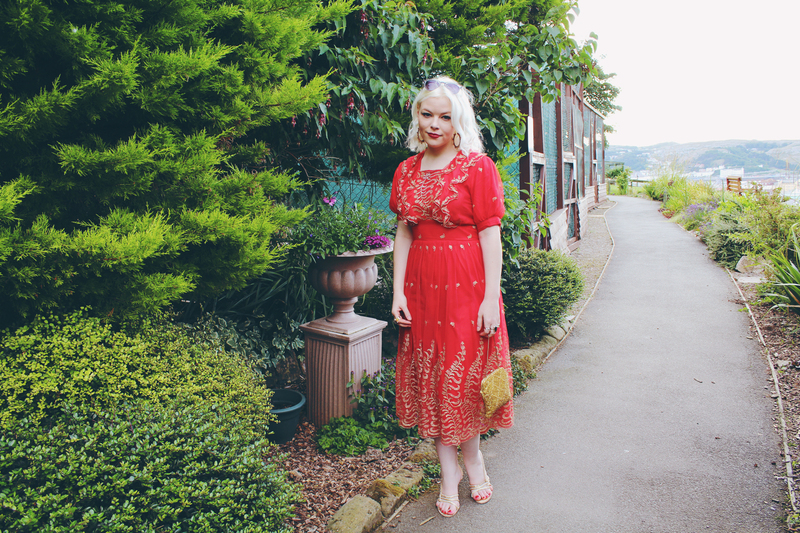 I thought I’d post it as a little inspiration for anyone who has any events coming up- to inspire you to shop vintage- as it can be done on a budget, trust me! Aside from the fact that you’re saving money, and helping the environment by recycling, there’s also not a chance that someone else will be wearing the same thing you are! What more could you possibly want? If there’s one thing I hate about events, it’s the shopping for an appropriate dress, (usually under time pressure), which leads you more often that not to choose something you’re not entirely happy with, just to serve that one purpose. That’s why, back in February, yes February, when I spotted this dress in Brighton’s Snooper’s Attic, I snapped it up, knowing that it would be perfect for this wedding at the end of July- even if it was a tad early to be buying it. (I actually ended up getting my dress before the bride!) 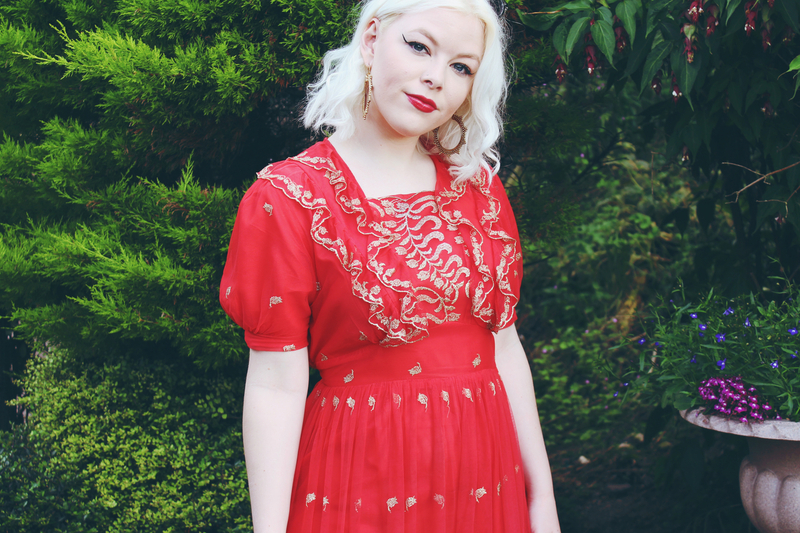 I’ve had a soft spot for Indian inspired dresses ever since my stint living and working in Mumbai as a Grazia intern back in university, and this dress was no exception. It happens to also be my absolute favourite colour- red, so there was no resisting. As soon as I had this £38 bargain under my belt, I could start accessorising, and the next step was a cute vintage bag. I wanted gold to accent the gorgeous fern detailing on the dress and searched high and low for a genuine ’60s ‘shell’ bag. After trawling the pages of Etsy and various online vintage stores, I finally happened upon this one in Retromania- a fab vintage charity shop in Victoria, run by Fara. At £25 it was a great price for this barely-used, vintage bag, and I snapped it up! This style of bag is so Mad Men, and this one is surprisingly roomy, and fits in far more than you’d expect. Betty Draper might not have had an iPhone 5, but it still fits! I so love this look! Fantastic red dress. Have a fun week! You look amazing. Love the dress. 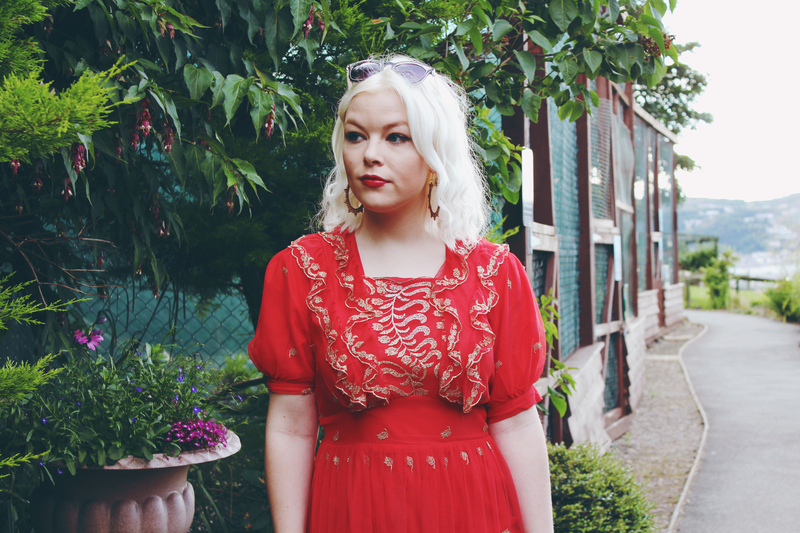 I definitely need to start going vintage shopping!